Why use Healing Natural Oils ? These Products are On Sale now ! 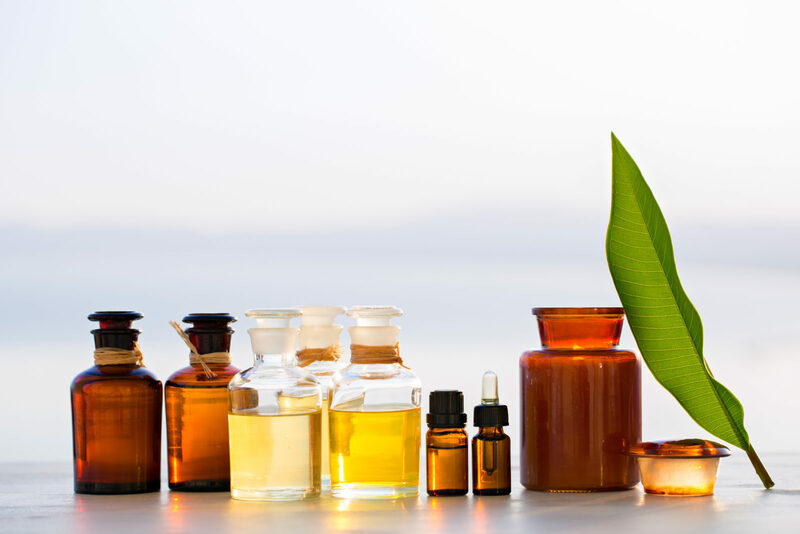 If you want to find out why you need to use natural toxin free healing oils, read the article below and visit our site to see our fantastic range of natural beauty and other products. Please NOTE this page contains affiliate links that will earn me a small commission if you make a purchase, HOWEVER there will be no additional cost to you. Think of it as a small TIP that will enable me to continue covering the costs to support my Blog and bring you more content and amazing natural toxin free products:- ) Thank You - Dave - the "Cancer Buddy"
Have you ever stopped to think how many Personal Care products you use every day? The Environmental Working Group, a non profit organisation, whose mission is to use the power of public information to protect public health and the environment, conducted a survey of more than 2,300 people in the US which established that the average adult uses 10 personal care products every day, with 126 unique chemical ingredients. This seems similar in the UK and Europe as most people use toothpaste, soap, deodorant, shampoo, hair conditioner, body lotion, sunscreen, lip balm, shaving cream and after shave for men and make up for women. So what’s the problem, everybody uses these products ? Lets stop to think about the 126 unique chemicals ? Most of us just assume that Personal Care products are safe, especially products for babies and children, otherwise our governments wouldn’t allow them, right ? Wrong on both counts ! The Environmental Working Group have researched Personal Care products to establish their safety for five years now, and have published the following findings. Industrial chemicals are basic ingredients in personal care products. The 10,500 unique chemical ingredients in these products equate to about one of every eight of the 82,000 chemicals registered for use in the U.S. Personal care products contain carcinogens, pesticides, reproductive toxins, endocrine disruptors, plasticizers, degreasers, and surfactants. They are the chemical industry in a bottle. No pre-market safety testing required — this is a reality of both the personal care product industry and the broader chemical industry as a whole. For industrial chemicals, the government approves an average of seven new chemicals every day. Eighty percent are approved in three weeks or less, with or without safety tests. Advocating that industry have an understanding of product safety before selling to the public finds common messages, common methods, and common gains whether the focus is cosmetic ingredients or other industrial chemicals. Everyone uses personal care products. Exposures are widespread, and for some people, extensive. Our 2004 product use survey shows that more than a quarter of all women and one of every 100 men use at least 15 products daily. These exposures add up, and raise questions about the potential health risks from the myriad of unassessed ingredients migrating into the bodies of nearly every American, day after day. These findings are alarming and are not only applicable to the US but to most advanced countries as well, so we definitely need to become more informed about these products. 12.2 million adults - one of every 13 women and one of every 23 men - are exposed to ingredients that are known or probable human carcinogens every day through their use of personal care products. One of every 24 women, 4.3 million women altogether, are exposed daily to personal care product ingredients that are known to be probable reproductive and developmental toxins, linked to impaired fertility or developmental harm for a baby in the womb or a child. These statistics do not account for exposures to phthalates that testing shows appear in an estimated three quarters of all personal care products but that, as components of fragrance, are not listed on product ingredient labels (EWG et al. 2002). One of every five adults are potentially exposed every day to all of the top seven carcinogenic impurities common to personal care product ingredients — hydroquinone, ethylene dioxide, 1,4-dioxane, formaldehyde, nitrosamines, PAHs, and acrylamide. The top most common impurity ranked by number of people exposed is hydroquinone, which is a potential contaminant in products used daily by 94 percent of all women and 69 percent of all men. Women use more products than men, and are exposed to more unique ingredients daily, but men use a surprisingly high number of products as well. The average woman uses 12 products containing 168 unique ingredients every day. Men, on the other hand, use 6 products daily with 85 unique ingredients, on average. Here is a scary fact ! According to the agency that regulates cosmetics, the FDA's Office of Cosmetics and Colors, "...a cosmetic manufacturer may use almost any raw material as a cosmetic ingredient and market the product without an approval from FDA"
YES !!!! very definitely - but there are many natural, non-toxic cosmetics and natural personal care products available. We hope that as you become more informed of the toxic exposures you face every day you will be able to make the necessary decisions to protect yourself and your family. Despite all these alarming findings, most of us are oblivious to the dangers posed by these products and continue to use them unperturbed and without suspicion. The result being that we are still exposing ourselves to toxic household and Personal Care products, cleaning our homes and washing our clothes with toxic detergents and applying toxic Personal Care products to our bodies, faces, lips, scalps, under arms, eyes and hair, often a number of times everyday. 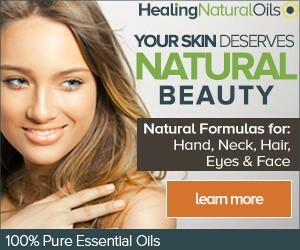 Take a look at the amazing range of natural toxin free beauty products that "Healing Natural Oils" have.